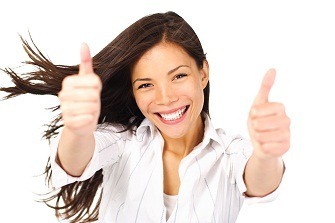 A Fast Track To Do-Overs And A Happier You! JUMPING INTO LIFE WITH ALL YOU HAVE AND THEN SOME. How can a little ebook of 37 pages change your life? You don't need affirmations, chicken soup, or lots of money. You only need the desire and a road map. That's what a little guide for big girls is all about! NO NONSENSE. CUT TO THE CHASE. WITTY TIPS AND RESEARCH. IT'S FUN AND FUNNY AND REAL! "You, very succinctly, and with much needed humor, in 37 pages or less, have just given me the equivalent of a year's worth of my own therapist's guidances. Kudos for making it so concise, not to mention affordable!" "Ann, this belongs in every woman's gucci bag or grocery bag. Whoever she is, she needs these reminders, these thoughts you implant. You are every woman's dirty little secret: we are powerful." Buy This 'Must Have' Now! GET BETTER. STAND TALL. BE PROUD. HOPE. FIX THE BROKEN PARTS. LAUGH AGAIN. No nonsense. Cut to the chase. Witty tips and research to get inside a man's brain! It's fun and funny and real! Life is short, one life, one time, what are you waiting for? YEARS AFTER TALKING TO WOMEN THEY WOULD TELL ME HOW ONE SIMPLE WORD OR ACT CHANGED THEIR LIVES. ONE WOMAN WENT FROM POVERTY TO FINISHING GRADUATE SCHOOL. ANOTHER WROTE A BOOK. EVERYONE TOLD ME THE SAME THING: I MADE IT SIMPLE. I USED THE SAME SIMPLE TECHNIQUES TO WRITE THIS GUIDE. IT ISN'T MAGIC AND IT ISN'T THERAPY, AND IT ISN'T HARD. PEOPLE WANTED SOMETHING THEY COULD READ QUICKLY OR GIVE TO THEIR FRIENDS TO HELP MAKE BIG CHANGES IN A SHORT TIME. THIS GUIDE HAS THE STAMP OF APPROVAL FROM THE MOST IMPORTANT PEOPLE IN THE WORLD - PEOPLE JUST LIKE YOU - WITH NOT ENOUGH TIME, A FEW DREAMS THAT NEED TO COME TRUE, AND A STRONG WISH TO USE THEIR POWER. IT'S TIME TO CHANGE THE DIALOGUE. ARE YOU READY? IT'S TIME FOR A DO-OVER. ARE YOU READY? IT'S TIME FOR A GOOD LIFE. ARE YOU READY? I CUT TO THE CHASE IN MY LITTLE GUIDE. IF YOU WANT A BOOK, THIS ISN'T IT. YOU CAN READ THIS IN LESS THAN AN HOUR. THAT'S RIGHT. LESS THAN AN HOUR AND BACK ON TRACK. THIS IS A REMINDER THAT LIFE IS SHORT, MEN AND WOMEN ARE DIFFERENT AND THAT'S OK, YOU HAVE POWER, YOU HAVE PROBLEMS AND THERE ARE SOLUTIONS AND DUMB BLONDES REALLY AREN'T. WE HAVE GOALS AND WE NEED TO GET THERE. I RESPECT YOUR TIME AND YOUR WISDOM AND USE FEW WORDS FOR BIG CHANGES. MY FAVORITE THINGS...FOR ALL BLONDES, BRUNETTES AND REDHEADS, REAL OR OTHERWISE. Take a quick glance and get inside the powerbook that will empower you to success! Have you ever given something away and wanted it back? Or maybe it wasn't yours to begin with but it should have been? Right here, right now, women of the world, we are taking back Dumb Blonde. every other stereotype that is limiting to women. shocked when I got a B in the course. them for grad schools and well, they were men." change my grade, I'll take it. term too long. It's in my hands now and soon it will be in yours. 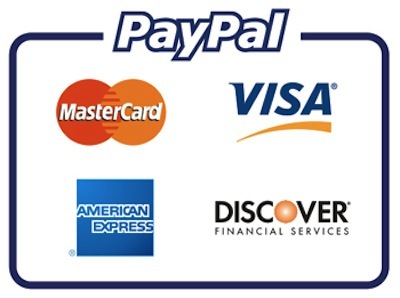 All major credit cards and paypal accepted on a secure site. Your card will be billed via "Clickbank"